We Are Excited to announce Part 4 of our continuing Roadmap to Adulthood lecture series addressing the transition from school to adulthood for Children on the autism spectrum. Part 4 of the series addresses college and other post-secondary options for learners with ASD, with Susan Yellin, Esq., the Director, Advocacy and Transition Services for The Yellin Center for Mind, Brain, and Education. Now more than ever there are many options available to students with special needs interested in pursuing educational opportunities past beyond high school. But with that choice comes uncertainty and concern about both academics and personal challenges in a new environment. As high school ends, parents and students with special needs are often confused about college or other post-secondary options that may be available. Figuring out which programs exist and which may be appropriate, what is needed to apply for and to be accepted into programs and what accommodations may be needed, appropriate and available is challenging for families. NAA NYM is excited to present an expert who can provide information to families as they assess what environment might be appropriate for their post-high school learner as the student works to gain skills and tools they need in their adult life. Susan Yellin, Esq. is the Director of Advocacy and Transition Services at The Yellin Center for Mind, Brain, and Education, a New York City-based independent educational assessment practice that helps struggling students experience success in school and in life. 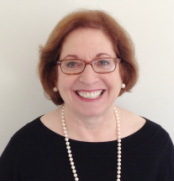 Mrs. Yellin has been a practicing New York attorney for over 25 years and has extensive experience in legal issues related to education and special education. In her role as Director of Advocacy and Transition Services at The Yellin Center, Mrs. Yellin works with families to obtain school services and to help identify appropriate school settings for K-12 students and with older students seeking guidance about supportive college programs or alternatives to college. She is an author of the book Life After High School: A Guide for Students with Disabilities and Their Families (Jessica Kingsley Publishers), which was awarded Bronze Medals as Best Education Book of the Year by both Book of the Year Awards and the Independent Publishers Association.